Singapore residential market: Is it worth investing at the moment? Although four months have passed since world stock markets suffered significant turbulence, it would seem that the reverberations are still being felt today. Singapore's Urban Development Authority just released the Q1 2016 real estate statistics which clearly show a well- established market downturn. Moreover, while some view the weakness as unlikely to last much longer, the major deterioration of some key property investment variables cannot be simply ignored. Having peaked in Q2 2013, Singapore's residential price index has been following a downward trend ever since, falling 9.2% over a two-and-a-half-year period through Q1 2016. On a QoQ basis, residential property prices fell by 0.7% in the most recent quarter. The same picture can be found in the residential rental market, where rents have been falling since Q2 2013, totaling an 8.9% decrease to date. The most recent QoQ rental drop was even worse, falling 1.3%, although at least vacancy rates improved slightly. However, as the following chart shows, residential vacancy rates in Singapore have been following an unhealthy uptrend since Q2 2013. The decline of the Singapore single and multifamily real estate market seems to have started earlier than the current Chinese slowdown. However, this might be attributed to the fact that there were already warning signs about problems emerging in the Chinese regional economies as early as 2013. Moreover, Singapore’s GDP growth has slowed significantly in recent years, and is currently extremely sluggish at 1.8%. Economists believe that this is largely due to the continuous devaluation of the Chinese Yuan, which makes Singaporean exports to Chinas expensive and uncompetitive. Interest rates have been kept relatively high in order to control inflation, which in turn puts pressure on traditionally leveraged sectors such as real estate. According to Colliers International, total investment in the Singapore residential sector increased by over 14% QoQ in Q4 2015. 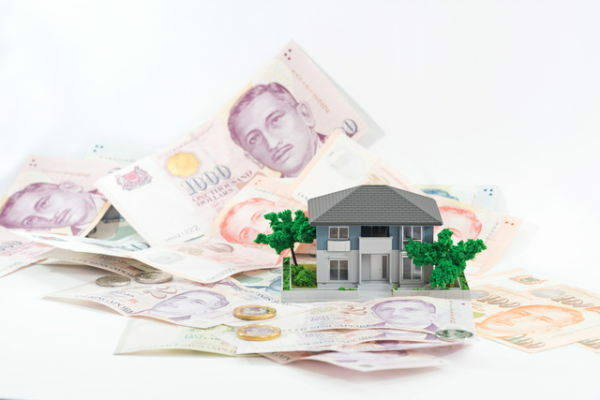 However, capital values for residential property fell by 7.8% in 2015, making Singapore far and away the worst performing residential real estate market in Asia. In stark contrast, the best performing residential property markets in Asia last year were Jakarta and Manila, appreciating by 26% and 13% respectively. So while contrarian investors may be tempted to dip a toe into the Singapore residential property market, it is probably safer to continue to take a wait and see attitude until there are clearer signs that the market really has finally bottomed out. Manos Schoinakis is a real estate investment consultant (MSc) with participation and experience in a variety of real estate projects worldwide. He is the founder of PHAON, a newly founded company focusing on real estate investment support and outsourcing.